Remembering Luke – Welcome to the 2019 Beemie Awards! Today is the 5th anniversary of the passing of a one of my favorite people I ever met in horse racing, the great announcer Luke Kruytbosch. Luke called the Kentucky Derby as well as races at Turf Paradise, Ellis Park and about 50 other tracks during his time. The first time I met Luke was in April of 2006, as I was driving over to River Downs to begin my career announcing races. I met him in the lobby and introduced myself, told him I was going to be an announcer and instead of just saying hi and nice to meet you, he invited me up to his booth to hang out for the day. It was like a kid going to play minor league ball and getting to talk with Babe Ruth. He gave me advice, told me funny stories, said to come visit him at Churchill, and told me to make sure and meet Vince Cyster, who was a good friend of his (and subsequently became my best friend in Cincinnati). I remember hitting a superfecta for 1,100 at Turf Paradise that made my day and paid for most of my move! I figured if I never met him again, it was still pretty cool to have gotten to hang that day. Fast forward to Kentucky Oaks day, a Friday and one of the biggest days of Luke’s year. I’m announcing the races at River Downs and my phone rings. “Hey Jason this is Luke Kruytbosch.” Well Hi Luke, aren’t you a little busy today? LOL He just called to tell me he was watching the River Downs races between races at Churchill and wanted to tell me I was doing a great job. That was about as cool as it gets. Over the next couple of years we would hang out anytime I went to Churchill or Ellis, or when Luke would trek up to Cincinnati. The most interesting things I remember is often echoed by other people who knew him. He ALWAYS made you feel like the most important person in the room. I remember telling a friend that after we hung out with him at a bar, so I promise this isn’t post death hyperbole. That’s just how he was. Everyone who knew him felt that way. I haven’t met anyone in racing who was as universally beloved. I met Luke several years ago when he was track announcer at Ellis. He spoke to me the first time like he had known me from before. We had a few more brief chats through those years, and he was always conversational and friendly. Such a shame Luke left at such an early age. Thanks for this Jason! Some of my fondest Luke memories are sitting in the backside bar at Turf Paradise playing dice when he’d come in after the races. He was always the same awesome person, no matter if you were in the TuP backside bar or in the booth with him at Churchill. Will miss him always! Jason, great remembrance of Luke, you’re right he made everyone feel special and I was one of those people. 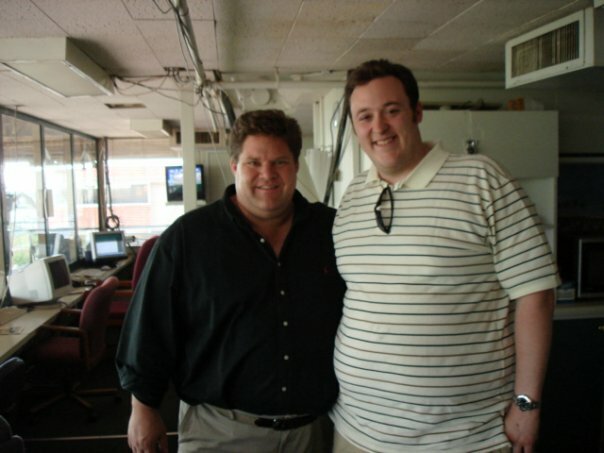 I interned at Ellis Park and spent time with him in the booth there and later visited him at Churchill Downs. One of a kind, great to all those who passed thru his alma mater, the Race Track Industry Program. Jon Shonk, got his nickname from Luke at Ellis, the Pink Lady :). You’re a pretty good guy, too. I mean, sharing those memories certainly rings true to my few experiences with The Man, Luke, and I appreciate how you feel. Luke was like fine wine in a way: the longer he is gone, the more fond of the guy we become because he was so easy to know. One of my favorite Luke moments…after guest hosting on “The Regular Guy” we went out for a few cold ones at A.J.’s Roadhouse. Got talking to a guy at the bar and Luke loved his racing-themed tie. He said “I’ll buy you a beer for your tie and I’ll wear it when I call the Kentucky Derby next year.” The guy went for it and a year later when I turned on the Derby broadcast – there was Luke – wearing that tie! A man of his word. He was one of the shiniest stars in our world. He was a dear friend of mine. I will forever miss his voicemails that turned anything going on in my life into a race call. I think of him often. He is so sadly missed.